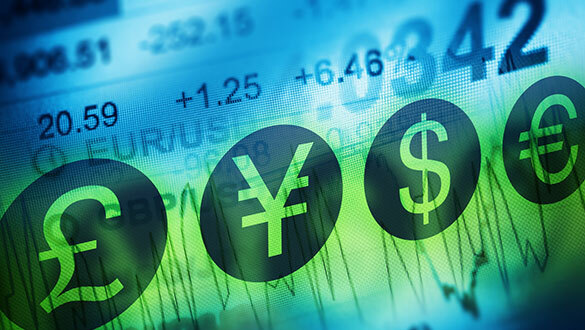 Nearly all investors look for opportunities wherever they might be found, and such a global view brings with it the challenges inherent in foreign exchange (FX). II recently visited with Jill Sigelbaum, Head of FXall for Refinitiv, who shared her insights on how FX trading platforms can significantly improve the preparation, execution, transparency, efficiency, and documentation of FX trades. Why is best execution such a challenge in the FX market? Historically, FX exposures have sometimes been an afterthought for fund managers making international equity or credit investments, and that includes insufficient consideration of how FX execution can be a potential drag on performance. 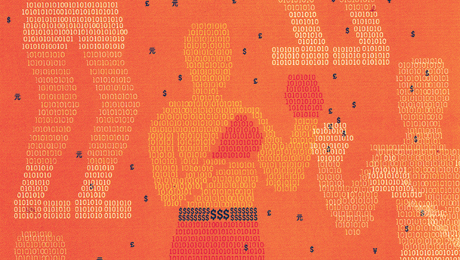 Due to the OTC nature of the FX market, the sourcing of rich market data and the execution of large block trades remain pain points for the industry in a time when everyone is sensitive to minimizing market impact. From a technology standpoint, what can fund managers, corporate treasurers, and other traders do to improve FX execution? Moving to a single, multi-dealer FX trading platform with end-to-end workflow can help traders achieve optimum execution. Using one platform to aggregate global orders, regardless of location, can be a more efficient and cost-effective solution. Achieving best execution is becoming a priority for FX traders. Why is that? MiFID II has raised the bar for best execution by requiring investment firms to take all sufficient steps to obtain the best possible results for their clients when executing orders. Cost pressures are also driving FX traders to adopt solutions that can give them a competitive edge by lowering transaction costs. In addition, investors are pressuring their fund managers to prove best execution and practices. How do you define best execution? Most buy-side traders already look for the best rate from liquidity providers, but there are other goals to consider, such as the probability of filling an order, the delay in execution (latency), the risk of market movement, or the market impact of executing very large trades. A robust FX platform can provide support for these varying best execution objectives by giving traders the data they need to evaluate liquidity providers and market opportunities. What does best execution for FX look like in action? For example, a corporate treasurer might recognize a need for cash in a certain currency in 30 days and send out an RFQ [request for quote] in search of the best rate to multiple liquidity providers. A multi-dealer platform can recommend the best providers to trade with by using business logic to analyze previous performance in like RFQs. On the other hand, a fund manager executing an international bond or equities trade might want to take the FX risk off the books right away. An asset manager making a large-scale trade might look for the time of deepest liquidity in order to minimize the market impact and get the optimal spread. Can the type of trading platform you mentioned earlier help improve pricing on FX trades? Traders are likely to get better pricing when they can access multiple providers of liquidity without giving up streamlined workflow through an end-to-end platform. For instance, our FXall solution gives clients one point of access to more than 180 liquidity providers around the world. How can a platform’s analytic tools help traders achieve best ex? 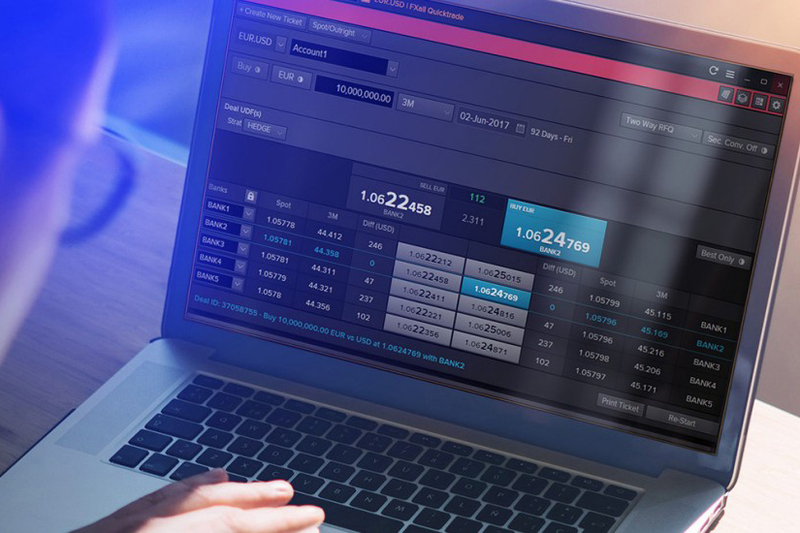 Our FXall platform provides clients with actionable business intelligence around, for example, which provider to trade with, what time of day offers optimum spreads by currency pair, and instrument type and maturity – all of which contribute to best ex. In addition, we provide charts showing daily activity in a currency pair, helping clients to have a quick visual of their activity. What about liquidity provider analysis? Trade performance analytics [TPA] in our FXall platform allow clients to compare their results with the overall market, and the money they saved by executing with a certain provider. Users can also filter their trade data based on accounts, instruments, time zones, and other factors, to gain a granular understanding of how providers are meeting their needs. This wealth of data helps traders assess the quality of their liquidity provision in order to have informed conversations with the banks, and identify opportunities for improvement. Are there other benefits to migrating to an end-to-end global FX platform? Yes. First and foremost is an opportunity to reduce current transaction costs. Moving all flow to one platform, such as FXall, can result in considerable savings, depending on the scope and complexity of a trader’s current operations. Another consideration is the challenge of complying with FX trading regulations in different jurisdictions around the world. Our FXall platform helps traders address both best execution and regulatory compliance requirements that vary according to regional jurisdiction by validating whether a trade should be executed on a SEF or MTF, and channeling the trade appropriately. What lies ahead for best execution? On the buy side, the next phase of best execution will be to use our rich data to offer pre-trade decision recommendations, such as which bank provided the best price for a certain type of FX trade. We will be investing in enhancing our FXall platform with these types of “smart” solutions for traders. We believe FX data transparency works both ways and are developing business intelligence tools for liquidity providers. Our solution will provide banks with data – on an anonymous basis – so they can see where they rank. For example, a provider that consistently ranks second or third in a particular currency pair might evaluate its pricing in order to move up to number one and gain a larger market share. 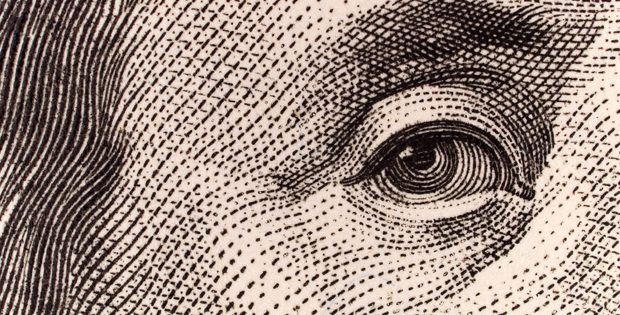 Why is Refinitiv committed to greater transparency in the FX market? We believe that traders, providers, and regulators all benefit from greater transparency in the fragmented global FX market. Our FXall platform can help foster a dialogue between all parties, leading to best execution of trades and greater market efficiency with streamlined post-trade and regulatory compliance.